Bungie has shared a few updates about Destiny 2’s upcoming PvP and PvE changes. 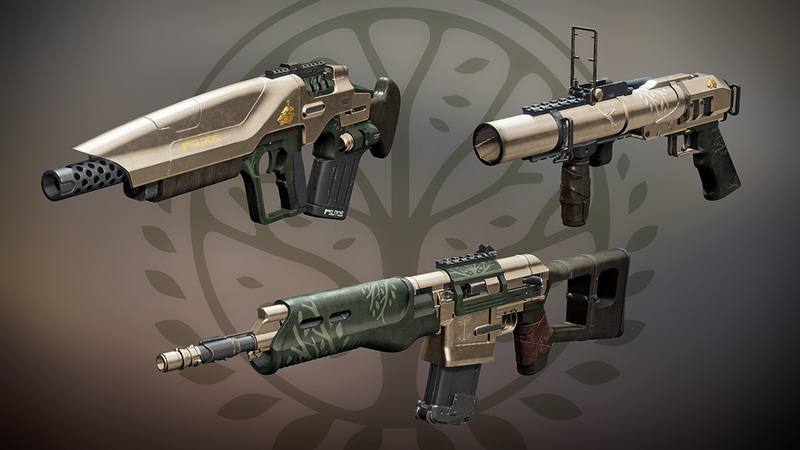 First up, the next Iron Banner event will kick off on Tuesday, March 6 and ends on March 13. This time around the game mode is going to be Clash. As always, Lord Saladin will have an inventory of weapons you can buy during the event. You can see the three new weapons coming next week below. What’s more, any progress made on challenges from the previous Iron Banner will carry over to the upcoming event. When Destiny 2’s update 1.1.4 rolls around come March 27, Iron Banner will see a few major changes, as Bungie explained in the weekly update. The biggest one is that team sizes are being increased to 6v6, alongside some other key revisions that bring it more in line with the original design in Destiny 1. Power advantage will not return, sadly. This is part of a larger update to Destiny 2’s PvP, which should arrive with the same patch. The update also brings back Rumble, and the mode will now only award points for kills, and it’ll support eight players. Mayhem is not being changed, and Bungie said that the three modes (Banner, Rumble, Mayhem) will rotate weekly. For PvE, Bungie shared a few details about a particular bug that’s been in the Leviathan raid since launch. The bug would sometimes prevent some members of the team from spawning after a wipe. This is what Bungie categorises as a “code fix”, something that requires the attention of engineers as they try to figure out what’s causing it. The root cause of this bug has not yet been discovered, but it’s not for lack of trying. “The issue where players do not respawn in the “Leviathan” raid is a memory issue due to the size and complexity of the activity,” said raid test lead John Guesnier. You can avoid this by simply sticking together as a team, according to Guesnier, while trying out any new loot you’ve earned. If this does not work, Bungie recommends reequipping the same armour set you entered the raid with.